As your representative, it is a privilege to serve you. Everyday I’m working to bring your voice to our nation’s capital and make government work for you. This year, my focus has continued to be on supporting and protecting my fellow Hoosiers. I fought to promote access to good paying jobs through my 9th annual Central Indiana Job Fair. The fair featured more than 145 employers and over 4,400 full and part-time positions. 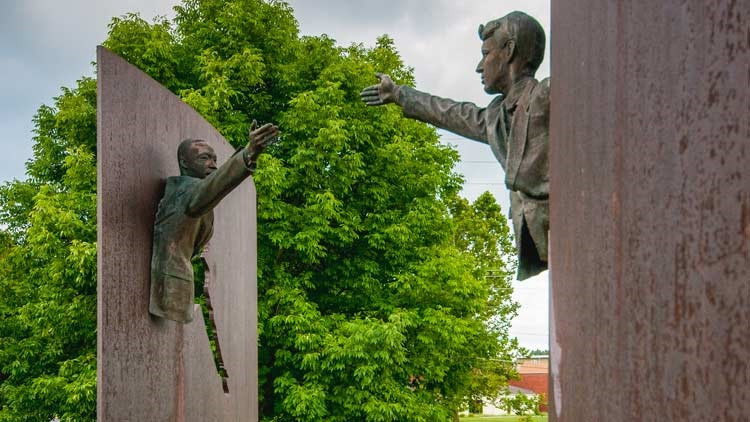 I worked to draw attention to our city’s role in our nation's civil rights history by getting the Dr. Martin Luther King, Jr. Park designated as a National Commemorative Site and added to the National Civil Rights Network. I also continued to proudly serve on the House Intelligence Committee, responding to threats around the world and investigating Russian meddling in our democracy. This year, Congressman Carson's Kennedy-King Establishment Act was signed into law making the Dr. Martin Luther King, Jr. Park a National Historic Site. My work in the Congress is about more than legislating  it’s about helping individual Hoosier families. This year, I responded to over 28,000 of your letters, calls, and emails, and helped over 700 Hoosiers navigate our federal bureaucracy by helping them get Veterans, Social Security, or other benefits they’ve rightfully earned. I am looking forward to starting the 116th Congress and the opportunity it brings to fight for Hoosier values and Midwestern common sense. I will continue to push to protect Medicare and Social Security, support local workers and small business owners, and tackle gun violence, including funding a Centers for Disease Control (CDC) study of gun violence, all while advocating for universal background checks and an assault weapons ban. With the Democrats in the majority, I am also slated to become Chairman of a subcommittee on the House Intelligence Committee, where I will work to strengthen our intelligence agencies to prevent terrorism and fight threats to our security around the world. I also look forward to continuing my work on the House Transportation Committee, where I will prioritize investing in our nation's crumbling infrastructure. As we enter 2019, I want to thank you for the continued trust you have placed in me. As I have said since I was first elected to Congresswe are better together. Together we can put our country back on the right course and build a better future for all Americans.